Vauxhall has once again won the BusinessCar Web Rating Survey, taking top honors for its website for a sixth straight win with an overall score of 88%. The Web Rating Survey judges websites on 10 different criteria, including ease-of-use, supporting applications, email response, mobile and tablet responsiveness, live chat, P11D data, social media, and the presence of a tax calculator. One of the biggest points of praise for Vauxhall’s website was the addition of GPS tracking for the Roadtrip app, which allows commercial drivers and fleet operators to log and track business mileage and expenses with ease. 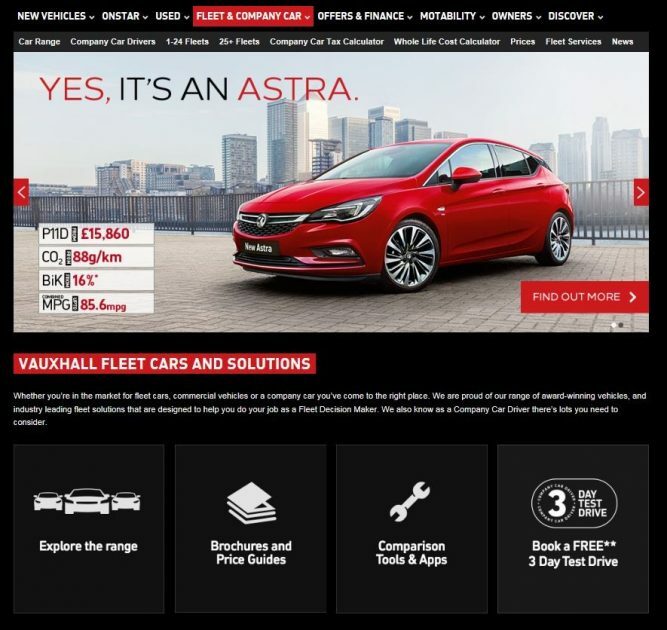 Improvements made from Vauxhall’s win in 2015 include upgrades made to the website’s tax calculator.